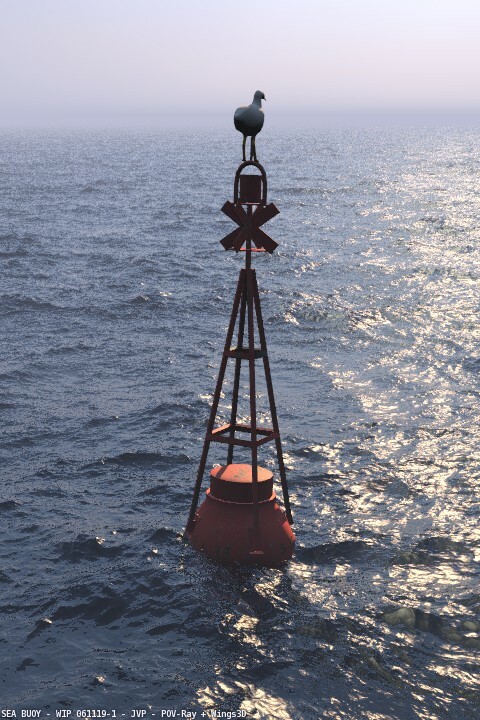 Last month I worked on an old idea for a scene with a sea buoy, thanks to the inspiration provided by the sea image recently posted by Tek at the POV-Ray newsgroups. 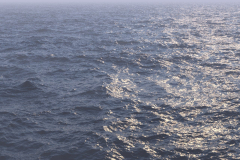 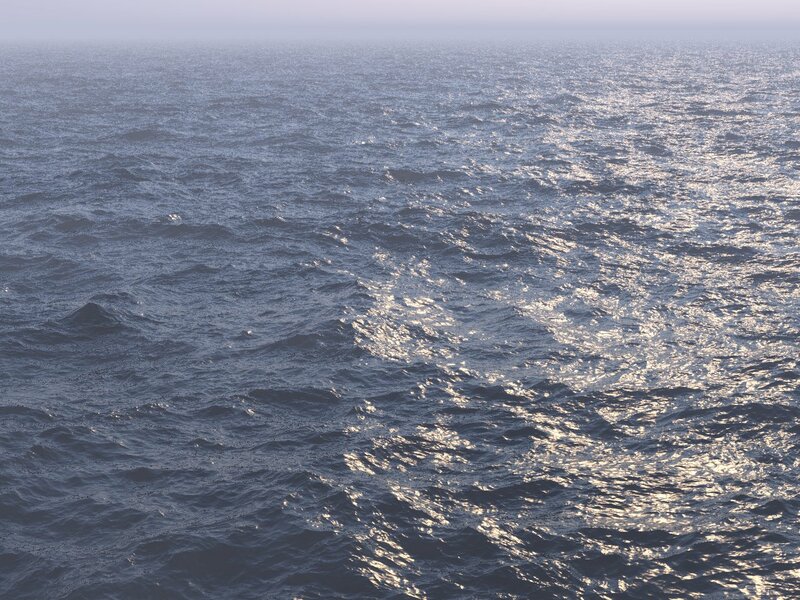 The sea surface is a POV isosurface, and the water coloration is done with a combination of interior attenuation and fog under the surface. 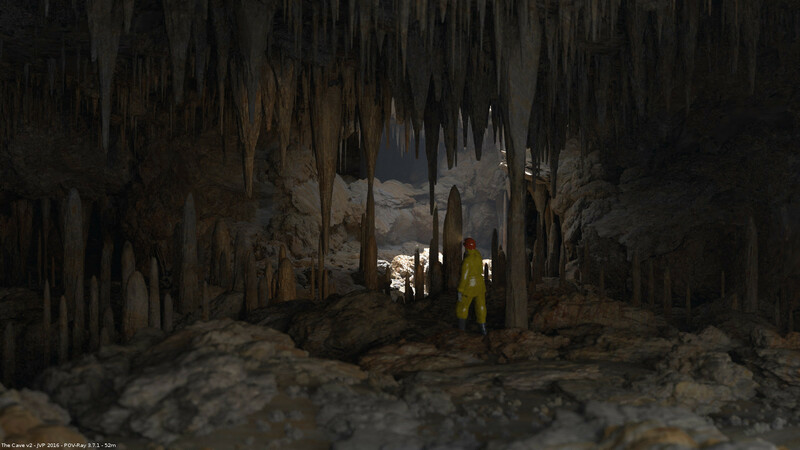 The lighting was borrowed from Project Tierra and uses Lightsys, but withouth radiosity, just with some fill lights. 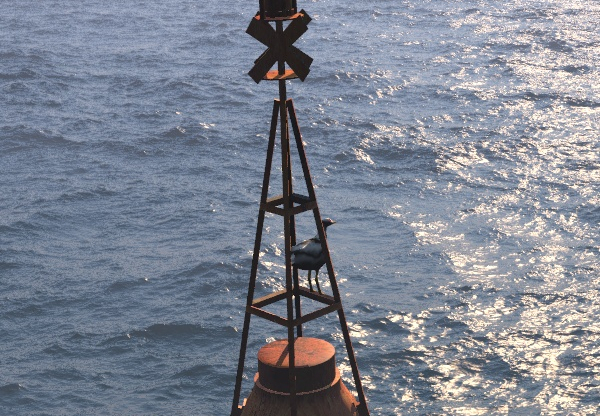 The birds at the background are a quick hack, just to be seen at distance, but features random wings pose and placement. 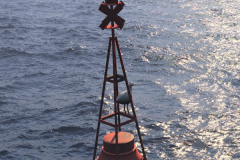 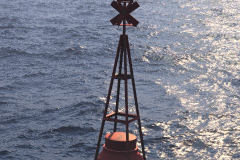 The bird on the buoy was modeled with Wings3D, as well as the buoy. 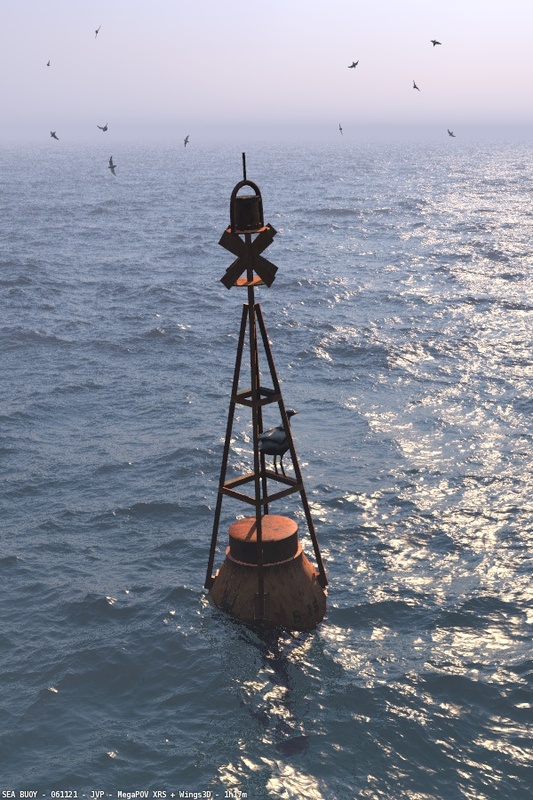 The bird texture is procedural, while the buoy one is based on a rusty metal texture from www.mayang.com. 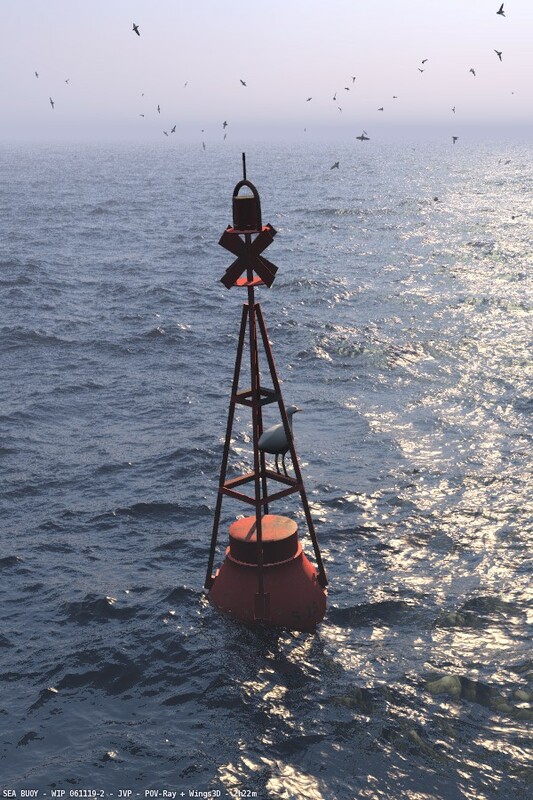 Note: The source code doesn’t include the birds nor the buoy, just the sea and sky, ready to use with your prefered floating object.